Guarantor of the protection against theft ! Securing your tablet anywhere thanks to the TabLock antitheft supports and cables. TabLock for SiliCase is an unique solution that allows the security of a tablet equipped with a rugged case. 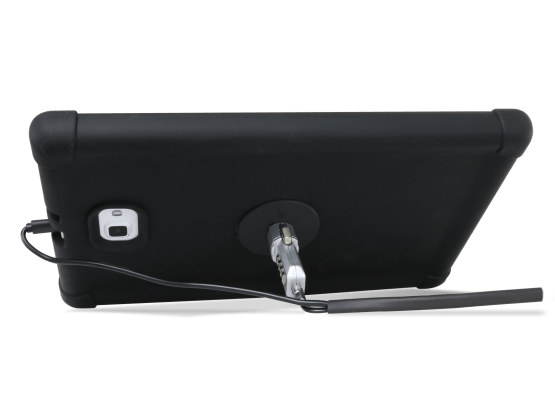 The antitheft system is composed of an ultra-adhesive plate to stick on the back of the tablet and an antitheft code cable. You also can use the stand position thanks to the antitheft crutch. Which security system do you need ? You have to secure your tablets but you don't know how ? Don't hesitate to contact us to have some advise by mail or by phone 02.99.55.66.56.